Whether you're planning a business meeting, birthday party, wedding, social club function or just a social gathering, Kawana Waters Hotel is the place to be. 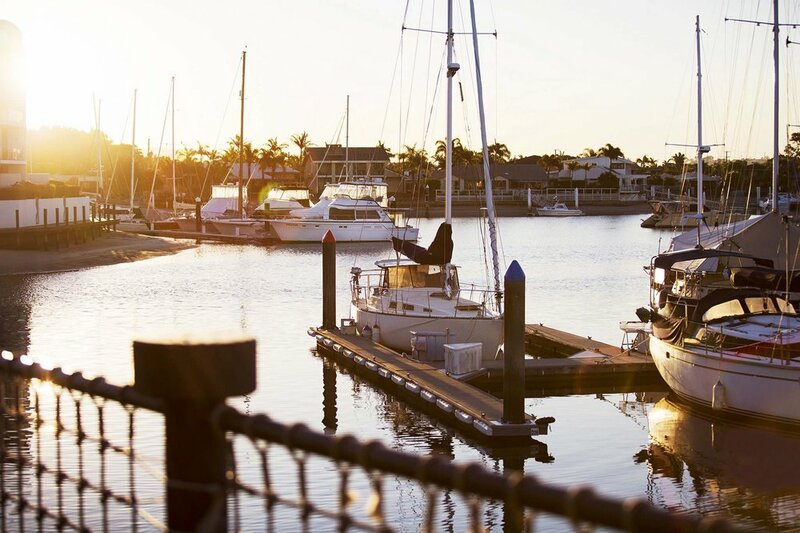 Overlooking the marina, we offer a relaxing setting with quality food and beverages at a very competitive price. Your important event will be perfect with the help of our professional team. Whether you are inviting 10 or 500 people we have everything you need. Our Marina Lounge bar has a wide choice of Australian and Imported Beers, a selection of pre-mixed drinks, a comprehensive wine list and an array of spirits, both bottom and top shelf, not to mention our fabulous cocktails that our Cocktail lounge has to offer. Kawana Waters Hotel is an open area venue, therefore if you require a bit more privacy for a large function our cocktail bar can be transformed into a private function room. You can have exclusive access to this bar for you and your guests. Extra fees will apply for privacy, although restrooms and the kids room will be shared with other patrons. Kawana Waters Hotel is able to offer a wide range of options for your function. From three course set menus for lunch or dinner, to platters for the birthday party, canapes for your business function, or a buffet for a wedding reception. Whatever your occasion we are here to cater for you and your guests, with that in mind will try to meet any special food requests you may have. Our spacious and stylish venue has the ability to seat 150 comfortably inside our restaurant and up to 300 in our outdoor setting over looking the marina. When it comes to stand up functions or perhaps a birthday the venue can quite comfortably hold 300 inside and up to 1000 outside. All drinks are charged on consumption basis with the choice of bar tab for your guests exclusively or they can purchase drinks over the bar. Should you require any information regarding our premium beer/wine/spirits. We can send this to you. Children under the age of 18 years, attending any function, must leave the hotel by 10pm. Prices may change without notice. Due to strict noise restrictions licensing requirements of this venue, entertainment is to be discussed with the venue manager only.